As external relations manager, Molly communicates Pact's distinctive work to key audiences and deepens Pact's relationships. She works closely with Pact's leadership team, program and development staff to promote the organization and influence the development sector. Her portfolio includes managing policy and advocacy, media relations, campaigns, executive and partner communications, and private fundraising. Molly has more than 10 years experience in communications and advocacy with international development organizations and a MA in diplomacy and international relations. Miners, including artisanal and small-scale miners, are a critically important part of mineral supply chains that span the globe, involve companies and governments, and provide essential components of everyday items from computers and cars to planes and medical devices. The value of the minerals in these supply chains is immense. The international market for cobalt alone was valued at $65 billion in 2015. With today’s green revolution and race for new technologies, especially batteries for electric cars, that figure is poised to grow exponentially. With this rapid growth comes challenges. A country rich in natural resources, the Democratic Republic of Congo is on course to provide two-thirds of the world’s cobalt within the next two years. Yet the country is also plagued by poverty and income insecurity. Nearly 70 percent of the population lives on less than $1 a day. This has inescapable consequences for vulnerable populations, particularly children. While children under 18 cannot legally work in DRC’s mines, the law is often ignored for a variety of economic and social reasons. Many children start working in mines at a very young age, often accompanying their parents. Over time, families with limited income and economic opportunities come to depend on the money their children earn to cover basic necessities. Child mining is also exacerbated by the difficulty of implementing public policies favoring child protection, limited public resources for the eradication of child labor, and a lack of quality education in mining communities. Child labor is a symptom of systemic issues. Nowhere is the need for systemic solutions more tangible. 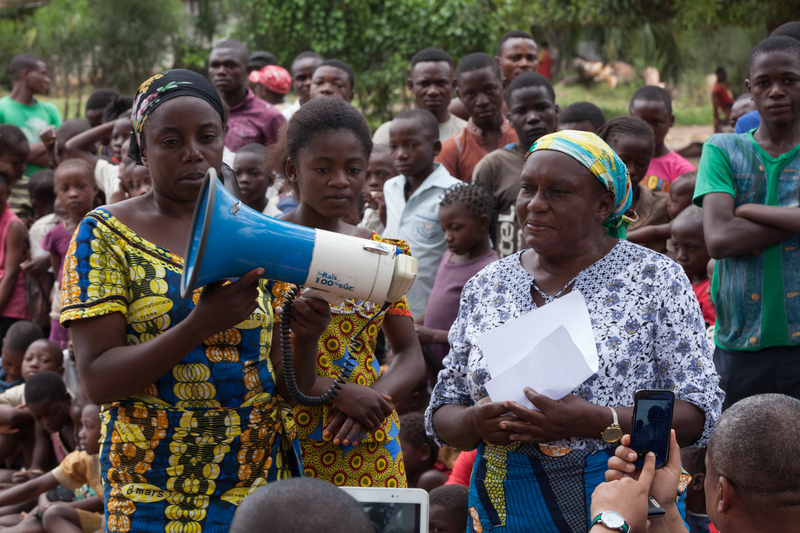 In 2015, Pact launched the Watoto Inje ya Mungoti – “Children Out of Mining” – project, or WIM, to address the drivers of child labor in DRC’s Manono Territory mines. The area is near the center of the 3Ts (tin, tantalum and tungsten) mining axis in the Katanga region in the southern part of the country. 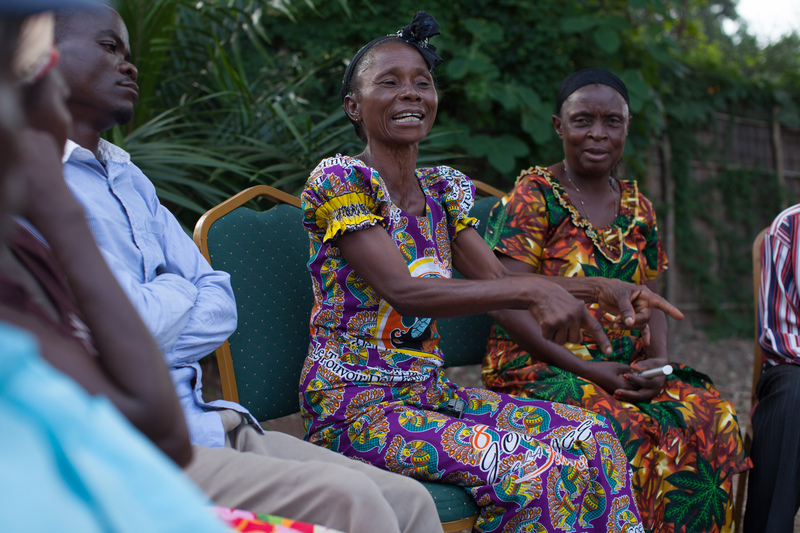 WIM intentionally weaves activities spanning education, governance, livelihoods and health, and is implemented by a network of local and international partners. The project aims to form a protective environment – an ecosystem – for children in the community to be valued, heard, educated and nurtured. Neighborhood committees and leaders, local government, civil society, schools, miners, children and industry work together to change norms and attitudes around child labor. This is the real success of the project – the diversity of partners and their commitment to fighting child labor. At the heart of the project are Coordination and Neighborhood Committees that are made up of representatives from local government, schools, civil society, youth groups and businesses. The committees help identify children working in or at risk of working in mines, provide support to vulnerable families and organize trainings and awareness-raising activities in communities. Changing norms and attitudes about child labor is central to the project. One way WIM does this is by raising awareness about child labor’s impact on children’s health and development. Working closely with parents, WIM provides positive-parenting training that includes topics such as constructive and open communication, creating an environment of trust, and children’s rights, among others. WIM also works with local schools and student government leaders to hold awareness-raising events at schools and incorporate the events into schools’ curriculum. To address economic insecurity, Pact tailored its signature micro-banking program, WORTH, for miners. The program trains miners and other members of the community on savings, microcredit and microenterprise activity, as well as literacy, using messages about mining regulations, good practices, health and safety and improved productivity. WORTH members invest their funds into improved mining practices or small business as supplements or alternatives to mining, especially when mineral prices fluctuate. In the area of governance, Pact and its partners help upstream mining companies adopt policies that meet human rights standards. So far, 16 mining companies have signed commitments to implement policies to prevent and appropriately respond to child labor, with some also funding educational and recreational activities for children. One of the hallmarks of WIM is the leadership of children themselves. They have assembled their own radio station to encourage their peers to leave mines, and use the radio broadcasts, theater and song to tell their stories and reach out to help others. Since its start, WIM has achieved fluctuating but high rates of withdrawal of children from mining, ranging from 80 to 97 percent, starting from 1,051 children and reaching as low as 36, depending on seasonal and other factors. More than 4,000 people have been reached through awareness-raising activities. Nearly 1,000 caregivers have received positive-parenting training. Twenty-five older children are enrolled in apprenticeships, and almost 300 people are working toward economic independence through WORTH. WIM is also seeing a host of other benefits, including improved child health and wellbeing, better quality education for children, increased empowerment of women and girls through outreach activities and WORTH, and more accountable institutions through the development of local state capacity. As the project has evolved, Pact has brought in new partners and expanded activities. For example, older children are often heads of households and dependent on income from mining. In the last year, the project began providing vocational training and apprenticeships for these children. Of particular importance is the fact that the reduction in child labor has withstood increasing mineral prices. Typically, when mineral prices rise, child labor increases too, as families seek to take advantage of the improved income opportunities. Breaking this cycle – so that child labor is decoupled from commodity prices – is a significant breakthrough. WIM is an innovative systemic solution that is increasingly showing its long-term sustainability. It demonstrates how bringing together diverse stakeholders in a coordinated, systemic approach can help ensure this critical industry benefits everyone along the supply chain. Especially the miners who labor in difficult conditions to unearth the precious resources our technological advances depend on. WIM is made possible through the support of GE, Boeing, the International Tin Association, Qualcomm, Microsoft, Google, the Dutch Ministry of Foreign Affairs, Rocbelt, Hope Mining Cooperative, Children’s Voice and ARDERI. In 2018, Pact is expanding WIM to a new mining area with support from the Trafigura Foundation. 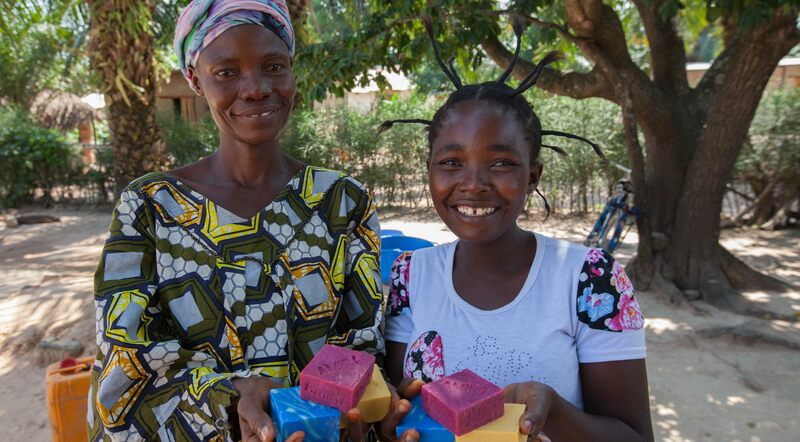 With more help, the change can spread even farther, the impact in Manono can be made sustainable, and more young people can have a chance at a brighter future.